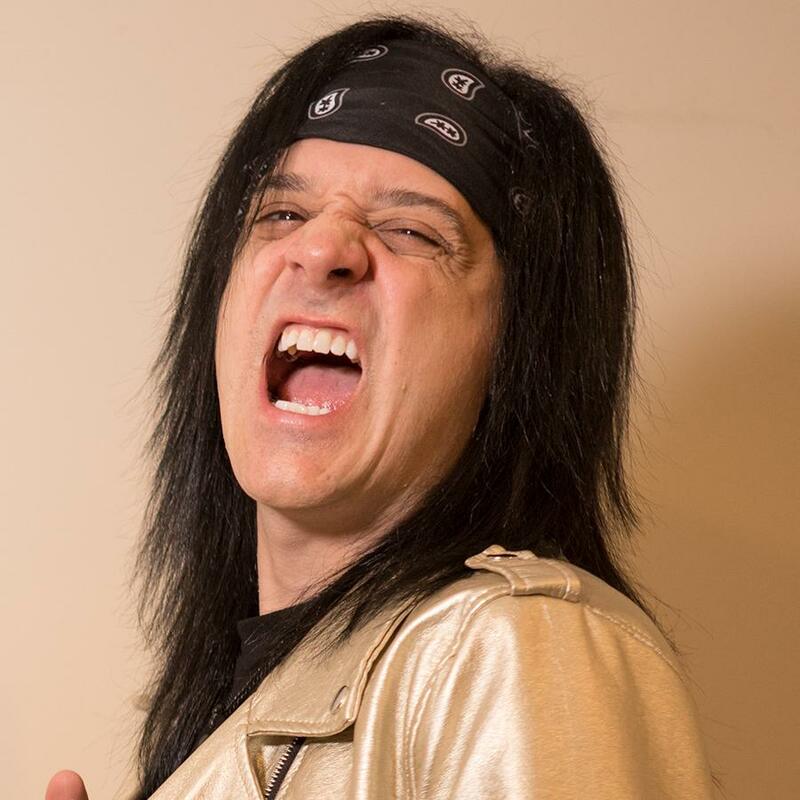 Chip & The Charge Ups say Fans Can Get Head Start With All New Music or Wait It Out! Power pop band Chip & The Charge Ups will release an all new EP later this year, into next year as well, but for the time being, have dived into details about said release and what to expect by it! 1. Can you help us get to know a little bit more about the band. How did you meet and get started in music? What is the story to be told? 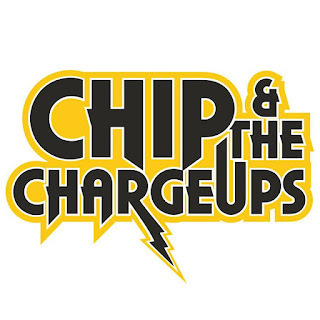 The roots of Chip & The Charge Ups began where my previous band, Chip DiMonick, ended. In 2016, my parents both fell ill and had to move in with me under my 24/7 care. So, I had to step away from Chip DiMonick for two years. During that time, I wrote songs constantly. And, when I could get some outside help caring for my parents, I would slip away for a few hours to record some music in the studio. Fast forward two years and I had completed recording 11 songs and developed some relationships with musicians that I hired to play in the studio. After losing my parents and taking the time to recover from that loss, I formed Chip & The Charge Ups to release the music I recorded during that time and share it with the world via live performances. 2. How and why did you end up calling this band Chip & The Charge Ups? Oh, man! It was a long road getting to the name! After building up an international fan base, I wanted a name that included "Chip" to leverage the familiarity that people may have with my songwriting. At the same time, the music I had recorded was much more eclectic than the hard rock/punk/metal that Chip DiMonick was known for. So, the new project had to have a different name. I wanted to begin the name with "Chip & The" and then have a word that began with "Ch." I just felt a name like that could roll off the tongue and be memorable. I came up with around 26 different "Chip & The" names and had some family members and musicians vote for the ones they liked best. I narrowed it down to two and went to some other people to tell me their preference between the two. It was pretty even, with a slight advantage to a different name. However, I had a design firm create a logo for that other name and nothing looked good. 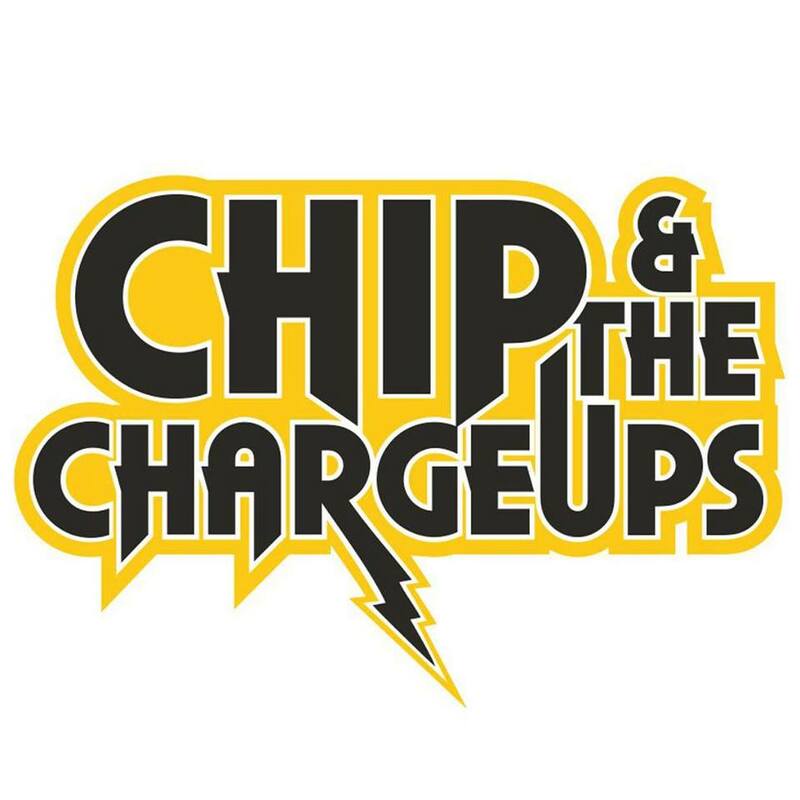 So, I had them design a logo for Chip & The Charge Ups and loved what they came up with! So, that was the deciding factor in what the name ended up being. 3. What type of music does this band actually play for those who may not know who you are and why should they? I consider it eclectic and electrifying power pop. Sure, it has its roots in classic power pop. But it does sprinkle in influences from different genres like punk, metal, singer/songwriter and even a teensy weensy hint of country. I think that fans of Green Day, The Ramones, Butch Walker and The Marvelous 3 will love our music. 4. Who writes the songs and what sort of topics do they cover and why? In the words of Barry Manilow, "I write the songs." They cover an extremely wide range of topics. For example, "Front Row" is a fun, youthful song about how it feels to live to be in the front row at concerts. 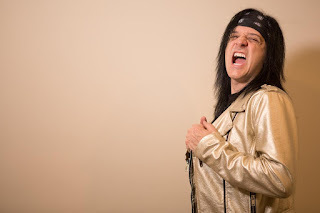 "Shine Again" is a comeback anthem aimed at inspiring anyone who struggles through a dark time in their life to never lose sight of brighter days ahead. "I Hope I Never Say That Out Loud" is about the awkwardness of being in the friend zone. And "One Black Balloon" is a hopeful song I wrote for, and performed at, my father's funeral. And that's just four songs! I really wanted to stretch myself lyrically and I think that music fans will love the result. 5. What or who would you say are your music influencers and why? I'm influenced by all kinds of music. And I still discover new influences. During the time I was writing the songs for the upcoming releases, I was feeling nostalgic. I started listening to a lot of the music that was playing in my house when I was a little kid: Neil Diamond, BJ Thomas, Eddie Rabbitt. I can definitely say that my songs were influenced by these artists. But I'm not so sure that a listener can tell. 6. "Flow of the Current, Part I", is the debut EP to be had from you guys but why go the route of an EP? Again, the music that I wrote over the past couple of years was very eclectic. When I tried to come up with the track order for a full-length release, I found it difficult. There was a level of variety that may have been common in the '70's, but is not so common today. But, I found that when I split tracks into two volumes, a magical experience happened. I put a metal-tinged tune with a punk-tinged tune with an edgy power pop tune and it worked. Likewise, I put the song with a classic rock vibe with a song with a singer/songwriter vibe with a song with a countryish vibe and that told a story of its own. It really comes down to the experience for the listener that I hope to create. And having two separate EP's created two very cool experiences. 7. Since "Flow of the Current, Part I" is the obvious "Part I" will this be an EP series developed into a full-length album series? Yes. Part II is already done, but we'll release it about six months later. 8. Can you go into one or two tracks on the new album? If so, can you give us the track title and brief description of how the track sounds and how it came about? Sure! "Front Row" came about after I began flirting with the idea of having a two-EP series instead of full-length release. There is a song that felt like it was perfect for Part II that had a song structure that I really liked - there were big gang vocals singing some catchy "woah's." I wanted a song with that same infectious song structure on Part I. 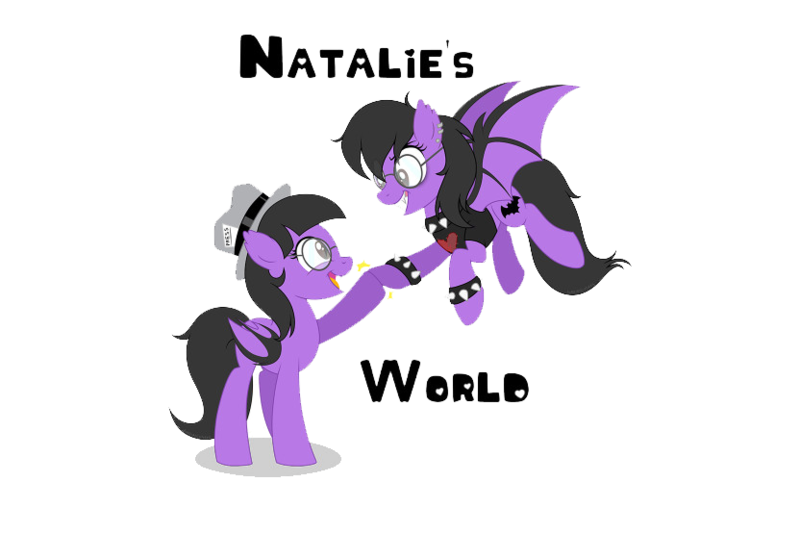 But, I felt I couldn't write another vamp with "woahs" since I already had a song like that. So, I realized that "I Wanna Be Sedated" by The Ramones and "Crackling Rosie" by Neil Diamond both did something kinda uncommon: they had sing-along vocal parts that used "ba's." So, I came up with the "Baaah-baaah-ba-ba-baaah" part and wrote the rest of "Front Row" around that hook. "Good Riddance, Fallen Angel" is a mashup of "Good Riddance (Time of Your Life)" by Green Day and "Fallen Angel" by Poison. Fans familiar with my previous albums and shows know that I love to create bizarre mashups. They usually just come to me after listening to a song and realizing another song uses a similar chord progression. That was the case with this one as well. I'm real happy with how it came out. Most people associate mashups with combined recordings of two songs. But I love to compose them and play and record all the parts, using no samples whatsoever. 9. Did the band have any definitive goals they were shooting for before the recording process began for this album? The title of this EP series, "Flow of the Current," fits for a couple of reasons. First, it plays off of the electric theme of the band name, Chip & The Charge Ups. Second, it represents how the songs were written: they were crafted out of whatever emotion I was feeling at the time. They just flowed out of me and I'm sharing these songs with the world in a way that kinda shares my own personal progression through a very different two-year period in my life. So, my goal was more to sonically capture my emotions rather than worrying about what things I wanted to accomplish in the music business. 10. Are you using any new instrumentation you've never used in the recording process before? I did take one very different approach compared to what I've done in the past. I've always played guitar on my recordings. On some, I had a second guitar player. But the guitar parts were always carefully thought out and rehearsed prior to going into the studio. Well, Mike Ofca - the producer/engineer I recorded all of "Flow of the Current, Part I" and all of "Flow of the Current, Part II" except for one song with - is not only a top-notch recording guy, but also a world-class guitarist. He has played with Steve Vai and convinced anyone who heard them that he deserved to be shoulder-to-shoulder with such a guitar icon. Mike is always happy to lay down a guitar track. So, I went into the studio with my guitar parts in mind, but I asked him to play at least one guitar track on most songs. And that unlocked some true magic, helping the songs reach their potential. 11. How would you describe the overall sound of the new EP? I think it sounds like it belongs on radio stations in every market. I'm very proud of how well it turned out and I hope the fans agree. 12. When can we expect the new EP to be released? I'm trying something creative with these releases. Though the EP's won't be released in physical form or for streaming on the usual sites until September 2018 and Spring 2019, I have a program set up on Patreon where fans can get one song to download a month in advance starting now. So, they can wait until the music is available for the rest of the world. Or they can get a very inexpensive head start and hear it sooner. The program includes several levels to which fans can subscribe. So, they can choose to get just the monthly song download or they can choose a higher level with more rewards. Those other rewards include things like handwritten lyrics, credits in our YouTube videos and even a custom song that I will write and professionally record just for them about whatever or whomever they want! Fans can learn more about what's available at http://www.patreon.com/thechargeups.